Is Halloween really only a week away? Eek! I need to get my cards in the mail! Since I needed to make a few more, I thought I'd pull out my favorite new Halloween Stamp Set this year, Googly Ghouls. 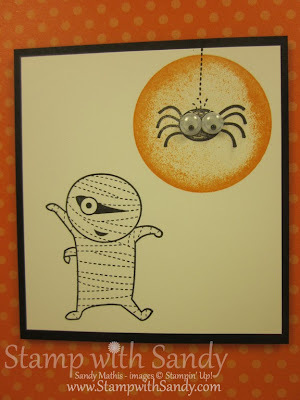 I love Halloween, but I'm really not into creepy-gory-gothic type stuff, I like cute Halloween images, LOL! 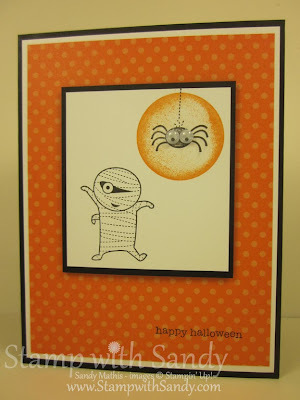 Googly Ghouls was just the set for me! 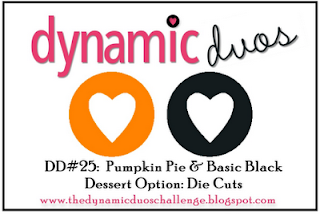 Dynamic Duos to the rescue! 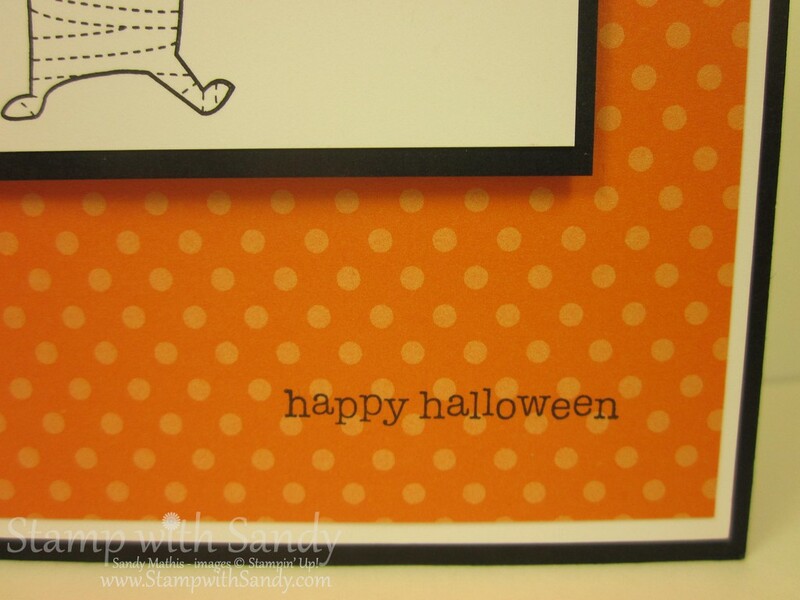 Just the perfect color combination for my Halloween card, though it's great for many others. Check out their site to see more awesome creations made by other talented paper crafters. What would a Googly Ghoul be without some Googlies? 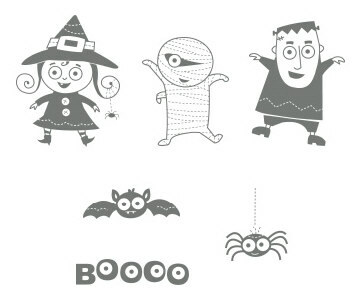 I just love these adhesive backed ones, new to the Stampin' Up Holiday Catalog. The spider sits inside a halo made by inking a solid rubber circle stamp on the edges, using the rock and roll technique. My circle is so ancient, I honestly don't remember what stamp set it is from. There is a perfect circle, though, in the Daydream Medallions Stamp Set, and I think there is one in the Decorate a Daisy Stamp Set, too. 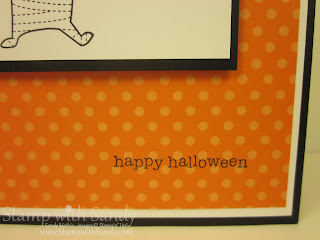 If you don't have a circle stamp, you could also use a 1 3/8" punch to cut a stencil, and then sponge the edges inside it. Stamp-A-Ma-Jig came to my rescue today, too. Boy, I need a lot of rescuing! I needed to be sure my greeting was perfectly lined up, and there you have it. Adorable CAS card, Sandy! 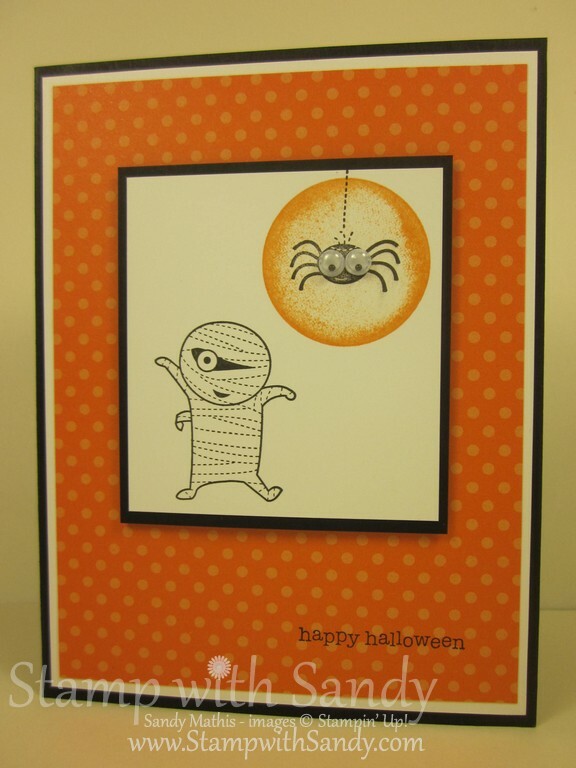 I love the googly-eyed spider against the moon! !